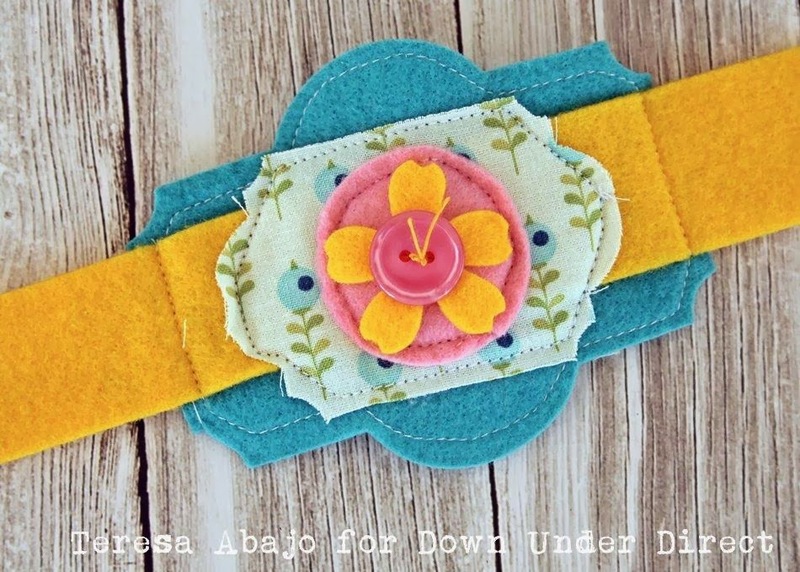 Making this wrist cuff was a breeze with Spellbinders dies. Made with off cuts of felt and fabric, it's a fantastic school holiday project for tween girls. Half the fun was putting together interesting colour combinations.